Granted, it does sound rather unsporting, good thing we’re just messing around. There’s no way we’ll survive the afternoon sun without air conditioning. Chris then suggested we dial A/C blower to fan 1 with cabin temperature set to 25 degrees C, no more no less. Sounds like a winning strategy I thought. That way, it’ll be easier on the A/C pump to operate yet be just cool enough for us to commute in adequate comfort, while being able to conserve battery juice that will help with the drive instead. 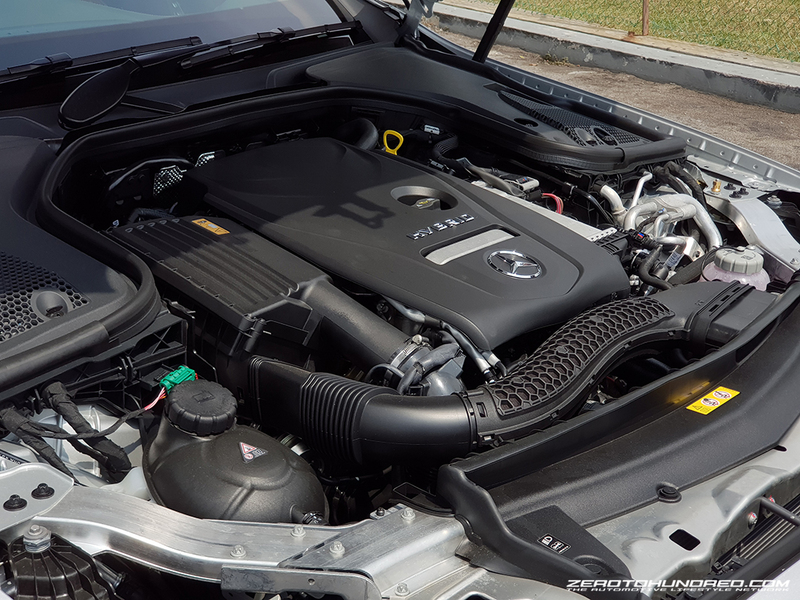 Just in case you didn’t know, the E350e uses an electric A/C pump and not the pulley type, so A/C can continue to function even when the engine is shut off during start / stop moments. 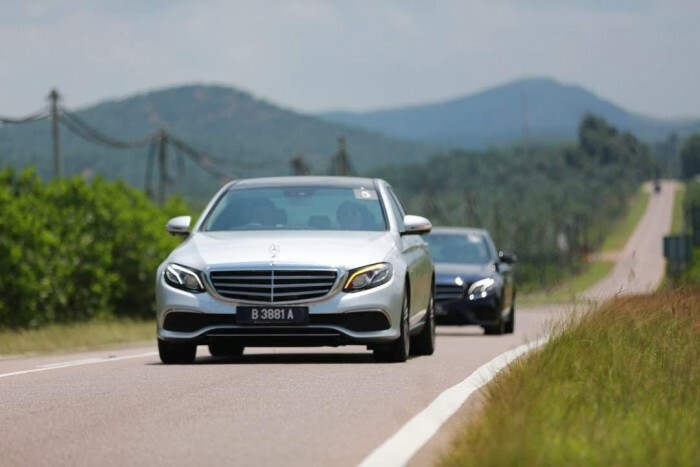 Also, the E350e can coast without engine power while driving on flat or descending roads at highway cruising speeds, as though it were gliding on neutral gear. 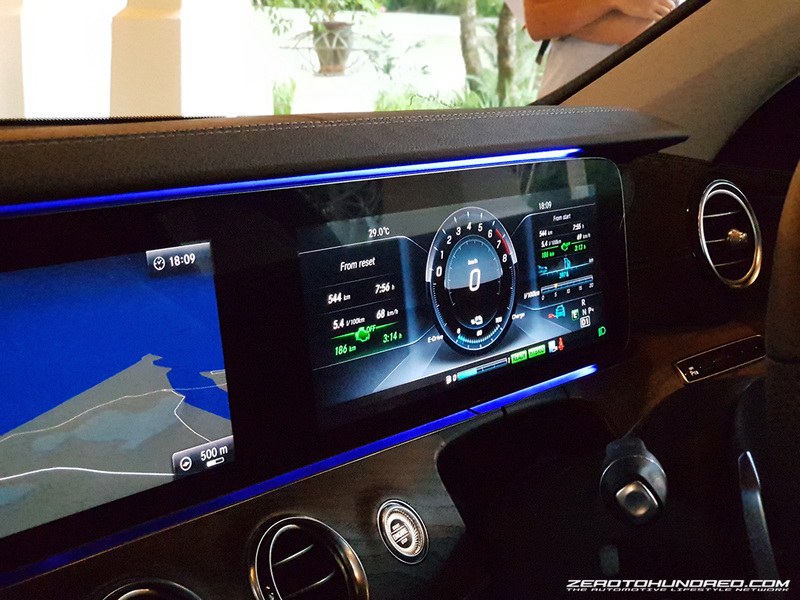 The coasting feature helped us achieve 198km worth of engine shut of time throughout the 480km journey. Although the number to beat was a colossal 233km. 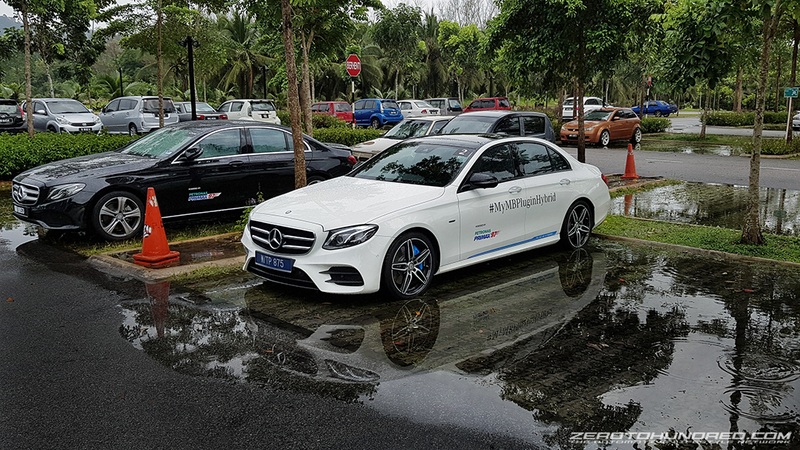 Just last Tuesday, Mercedes Malaysia mobilised a 2-day media drive from KL-JB-Terengganu where it involved their latest PHEV car, the E350e Plugin Hybrid. In this 10-car drive, we were given a challenge to prove who’s best in wringing the the least L/100KM out of the E350e at the end of the drive. Chris and I were determined to win this. Let me fast forward and get straight to the facts, figures and how we did it. The journey started from Bangsar Shopping Centre where Mercedes Benz Malaysia debuted their first ever public plug in hybrid charging centre, that is conveniently located at the basement carpark of BSC. 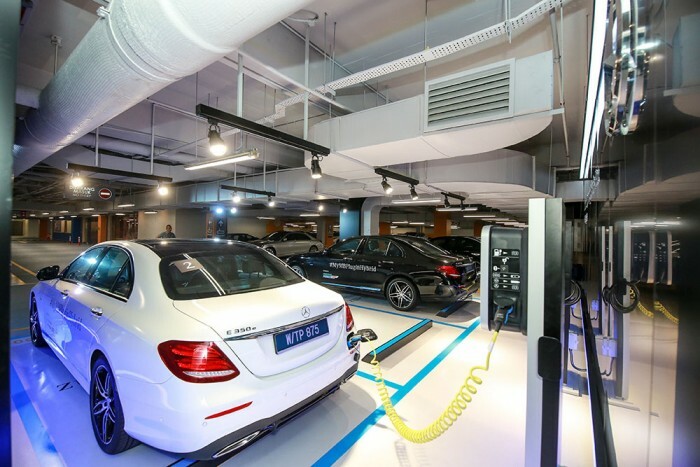 This service will be free of charge for all Mercedes Benz cars. 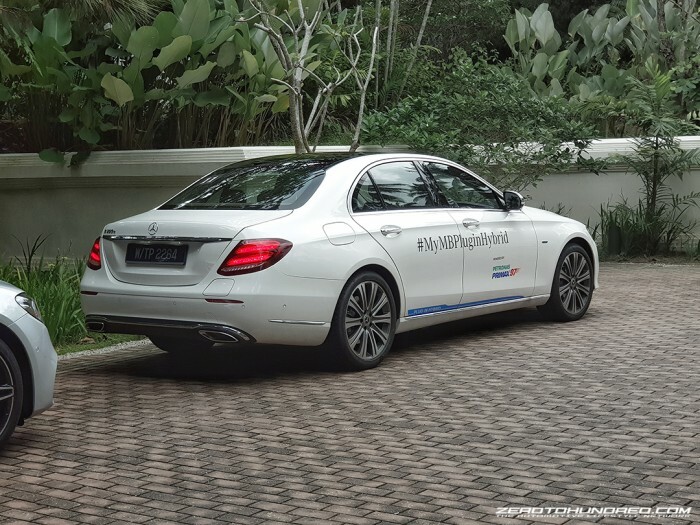 While priority is given to Merc cars, MBM mentioned that there will be no restrictions for non Merc PHEVs to enjoy. Which is pretty generous to be honest. 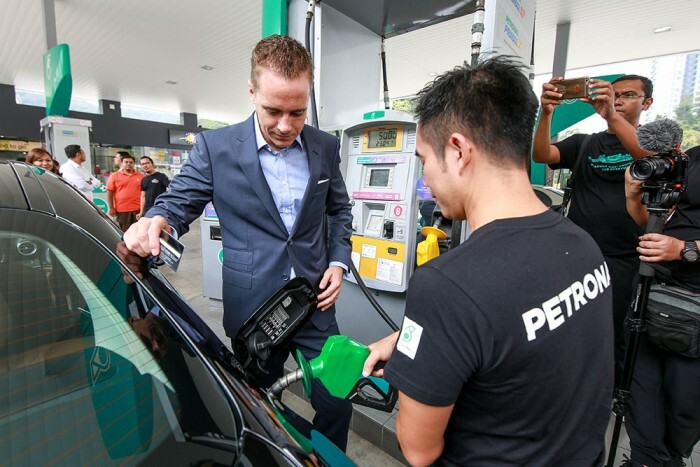 The Flag off from KL – JB was held at a major Petronas gas statio located at Penchala where all cars were fuelled to the brim before the grand entourage depart. After spending a night in Renaissance Hotel JB, we assembled ourselves at the lobby the next morning to begin the actual battle. Chow briefs everyone of the Challenge that lies ahead as well as the multiple mandatory checkpoints where all participants are required to stop for judges to obtain drive data from all cars. Every time we came to a stop we’d turn the car off. But why bother when the start / stop feature can take care of that? Because the A/C will be on along with whatever else that runs on electricity. 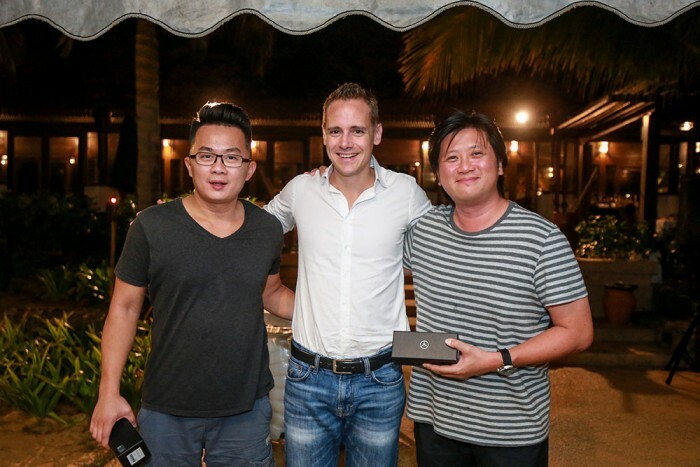 We wanted to take opportunities like these to sacrifice on A/C and take the challenge that little bit further. I have to say, it can get real hot as the car bake under the afternoon sun while we sit for minutes at a time with no ventilation. As soon as the lights turn green, we’d turn the E350e back on and very gently, resume our journey. As I was saying earlier, adequate comfort. To be really honest, with cold set to 25 degrees and blower to 1, cabin temps were actually okay, more than survivable. It felt cool mostly, but never cold and barely enough for us to stay completely dry. On this one, we are completely uncertain If we should have let the car decide or strategically select the modes depending on the drive for maximum efficiency. I did find out after, a good strategy is to select full-E whenever moving off at standstill, then switching back to auto when the car gets going. There are multiple hybrid driving modes to choose from. 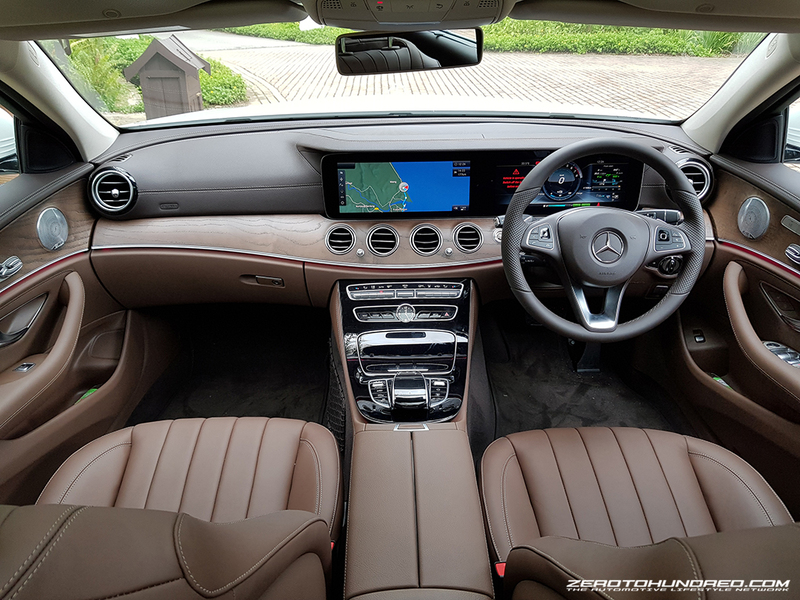 Namely Auto / Eco to let the E350e decide for itself the most efficient way to drive, then there’s Full E mode where you can choose to drive in electric only and also this mode called Charge where the car will prioritise charging its batteries to full asap. This is where we made a mistake, selecting Charge at one point for about 20 – 30KM worth of drive distance. Because we had almost depleted our batteries, selecting charge would quickly restore its juice therefore improve the hybrid drive down the line. But later on we found it’d cause the car to deliberately run at higher rpms just so the hybrid motor can use this to recuperate energy faster, to charge the batteries quicker. Damn it. Being on Charge requires the engine to stay running throughout the drive. This meant we would have less engine shut off time and true enough, The boys from PaulTan.org had easily beaten us based on this alone. Although our fuel consumption was best of the day at 5.4L/100KM, while theirs was 5.5L/100KM. They’ve managed a remarkably long distance of 233km worth of engine shut off time. Which was pretty mad considering the actual journey was 480km. Climbing hills are the hardest thing to do in a fuel efficiency challenge. It takes energy to overcome the slope and highly depend on your approach, which mostly mean travelling speed. There are many of these climbs throughout the trunk roads and highways so rather than be hurt by it, it’s better to take advantage of them. When noticing an upcoming ascend up ahead, I would start to raise the travel speed as fast but as gently as I can, so by the time the E350e gets to the climb, it rolls all the way up without added effort. It’s always a pain when you have to deal with a slow guy in front as they waste your precious momentum, especially in trunk roads. To overtake them takes precious energy as well. What do I do? See what’s ahead. For example, to prevent from shedding too much speed when approaching a slower car, react early to avoid using any more power to gain speed. Then, use the gap to start increasing pace, should there be overtaking opportunities down the road. We also try to do most overtaking manoeuvres at downhills or flats, never uphill unless there is sufficient momentum to use. Yes, it was quite an excruciating journey trying to be as frugal as we can. 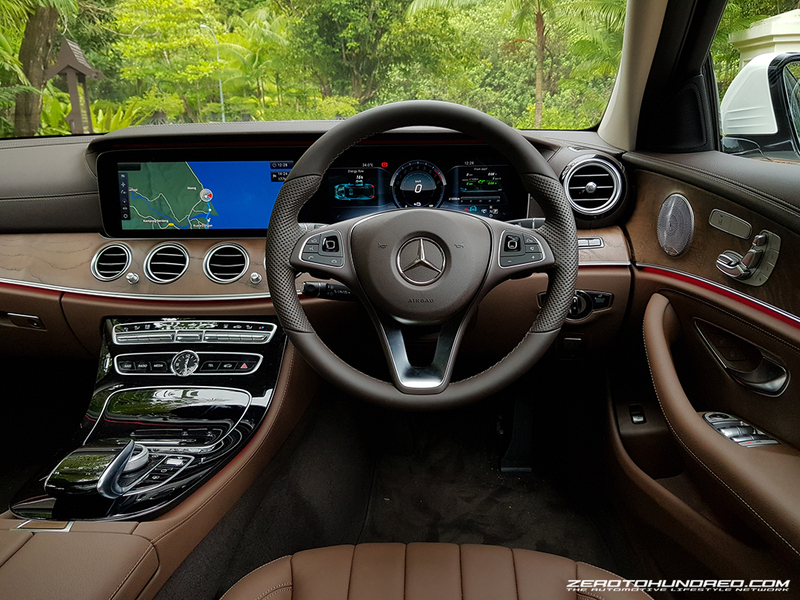 Our daily driving habits are put aside, while we try our very best to get the E350e rolling with as little effort as possible. We were extremely gentle on the throttle at all times and that meant creeping off the line from full stop and then patiently waiting for the car to pick up speed. So we arrive at the end point, Tanjong Jara Resort, Terengganu clocking over 500km worth of driving distance. There were judges on site to record and crunch numbers to determine the results of the fuel efficiency challenge. All that hard work really paid off. Our determination to excel in the challenge actually helped us pull through the temptation to give gas and persevere through. Eventually we clinched 2nd place with our best result of 5.4L / 100KM and 198km worth of engine shut off distance. 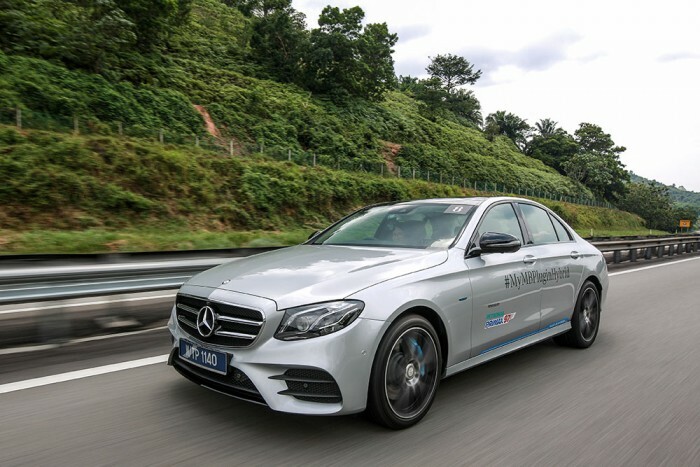 Despite beating the Paultan.org boys by 0.1L/100KM at their 5.5L/100KM result, we were completely squashed by their impenetrable engine shut off distance of 233KM, which crowned them champions of the Mercedes Benz E350e Fuel Efficiency Challenge. We’ll get them next time. 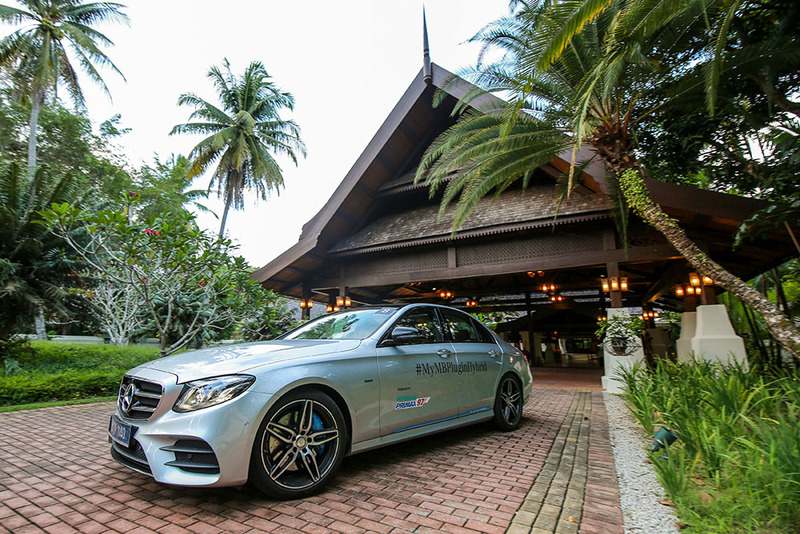 As for thoughts on the E350e after crunching over 800km from KL – JB – Terengganu – KL? 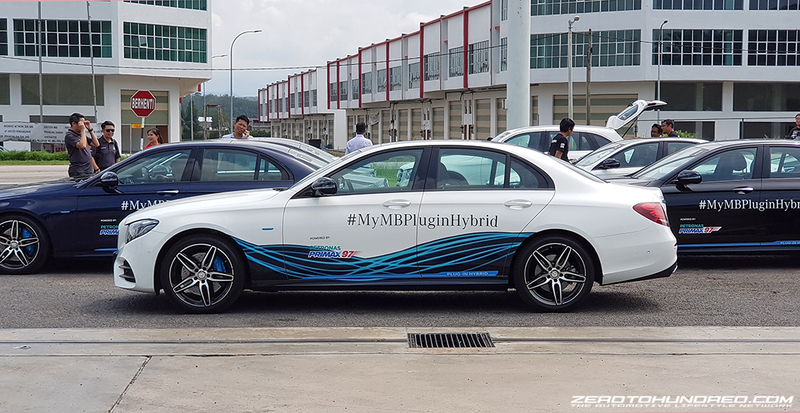 Well the entire journey and strict discipline had in many ways demonstrated MB’s current dexterity in the plug in hybrid experience, as well as the increased driving refinement that has plagued the existing PHEVs out there. 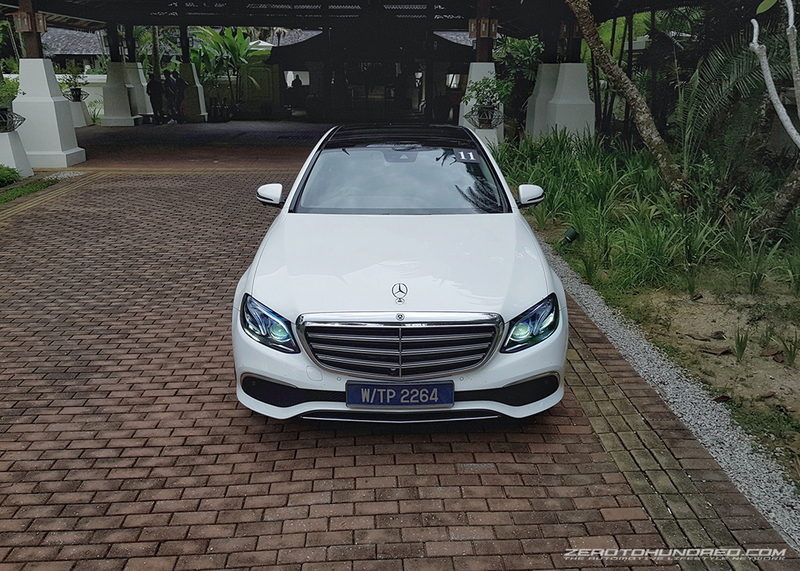 I’m referring specifically to the ride and handling department which the E350e surprisingly excelled at. Stay tuned as my first impressions on the E350e will be coming up.